The application deadline has passed. Find out which library/museum partners have been selected to host this tour. The National Center for Interactive Learning (NCIL) at the Space Science Institute (SSI) is seeking eight library and museum partner sites to host the inaugural national tour of the interactive traveling exhibition Discover Exoplanets: the Search for Alien Earths. Public libraries and small museum partners in rural areas and those serving rural populations and underrepresented groups are especially invited to apply. This program is slightly different from prior STAR Net programs and SSI museum exhibition programs. This project aims to help public libraries and small museums to become better partners, through the shared experience of the Discover Exoplanets exhibition. SSI is fabricating 2 exhibits, one for display at libraries, and the other for simultaneous display at partner museum sites. A primary applicant (from either a library or museum) will complete the application, and a secondary applicant will provide a letter of commitment to append to the application. 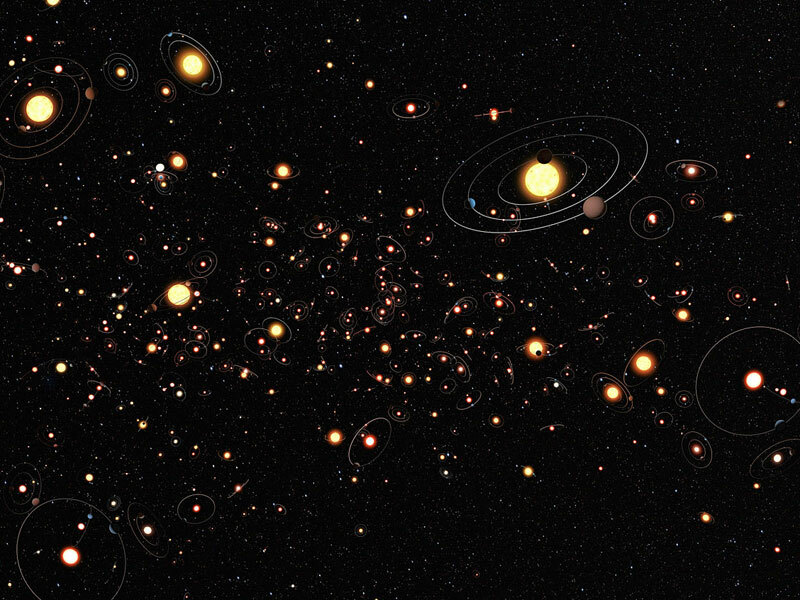 Discover Exoplanets is made possible through NASA’s Universe of Learning. NASA’s Universe of Learning materials are based upon work supported by NASA under award number NNX16AC65A to the Space Telescope Science Institute, working in partnership with Caltech/IPAC, Jet Propulsion Laboratory, Smithsonian Astrophysical Observatory, and Sonoma State University. The exhibition and its educational support materials and outreach opportunities are part of the STAR (Science-Technology Activities and Resources) Library Education Network (STAR Net), a hands-on learning program for libraries and their communities, and NASA’s Universe of Learning. STAR Net seeks to engage underserved youth and their families in fostering an appreciation and deeper understanding of science and technology topics through STEM (Science, Technology, Engineering and Math) programs in public libraries, and library collaborations with scientists, engineers, and STEM organizations. Universe of Learning NASA’s Universe of Learning draws from discoveries, scientific data, and subject matter experts from across NASA to create and disseminate STEM learning products, programs and professional development experiences that empower audiences to discover the universe for themselves. ). The Discover Exoplanets traveling exhibition includes an evaluation of informal STEM education in library and museum settings. Participation in this evaluation project is mandatory for selected sites, and may include site visits. Discover Exoplanets will tour from October 2018 through late 2020. The eight site pairs selected will host the exhibitions for a period of approximately three months each (minus travel time). The exhibitions requires 600 square feet of space for optimal display (each exhibit is approximately 600 square feet). Each host library will be asked to actively participate in a national professional learning community called the STAR_Net Online Community. The project includes a two-day orientation and program planning workshop (in Boulder Colorado) for two staff members from each successful applicant team (the project director from the library and project director for the museum, or suitable substitute). The workshop (scheduled for September of 2018) will cover hands-on science activities; programming and outreach consultation; and a number of professional development resources, including the STAR_Net Online Community, which will involve sharing of best practices among librarians, museum educators scientists, engineers and others who want to bring effective STEM learning experiences to public audiences in informal settings. Costs related to travel to the workshop, including meals, flights and hotel, will be covered by the program. Each exhibit requires approximately 600 square feet of floor space for optimal display. The display space does not have to be contiguous. The minimum ceiling height for exhibition components is 8 feet. The exhibition will travel in approximately 1-2 large shipping crates, some of which will need to be stored during the display period. Containers will not exceed dimensions of normal doors.